The Museum and Real Bosco di Capodimonte and the Pio Monte della Misericordia, with the production and organization of the Electa publishing house, promote an exhibition to explore Caravaggio’s Neapolitan period and the legacy left in the Neapolitan city: Caravaggio Naples, curated by Maria Cristina Terzaghi and Sylvain Bellenger. 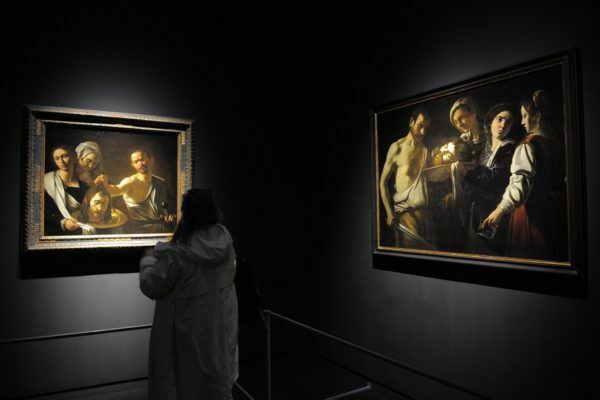 Naples represents a fundamental stage for the life and works of Caravaggio. The intense rendering of passion and instinct in the most iconic paintings made by the master during the Neapolitan period identifies, in the vision of our contemporaries, the style and personality of the Lombard artist, who became more dramatic following the episode of the assassination Roman. Caravaggio lived in Naples for a total of 18 months. The first stay can be dated between October 1606 and June 1607. 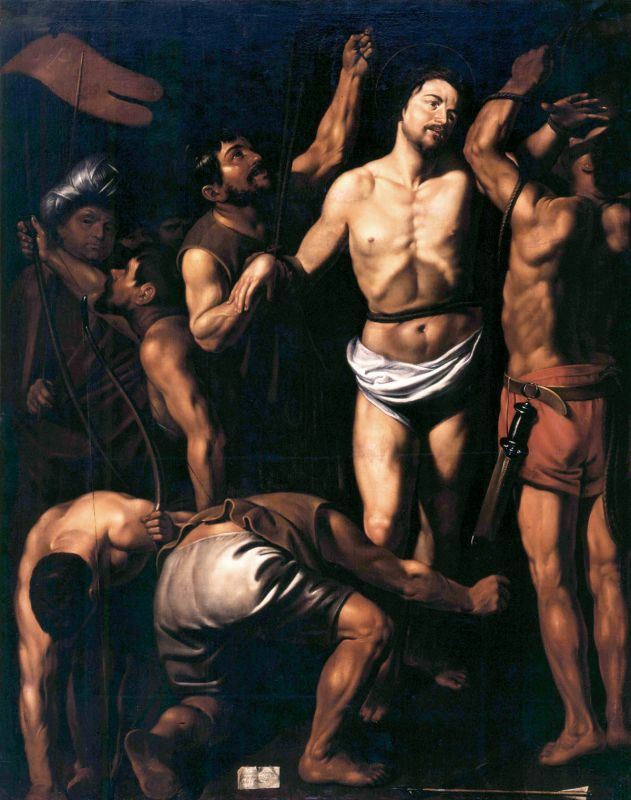 In these nine months extraordinary and well-documented masterpieces were made, such as the Seven Works of Mercy, painted for the Pio Monte di Misericordia, the Flagellation currently at the Capodimonte Museum . After his travels to Malta and Sicily, the artist returned to Naples, the capital of the Spanish Viceroyalty, in October 1609 and remained there until the following summer. On July 18, 1610 in Porto Ercole, during the journey back to Rome, Caravaggio died tragically. 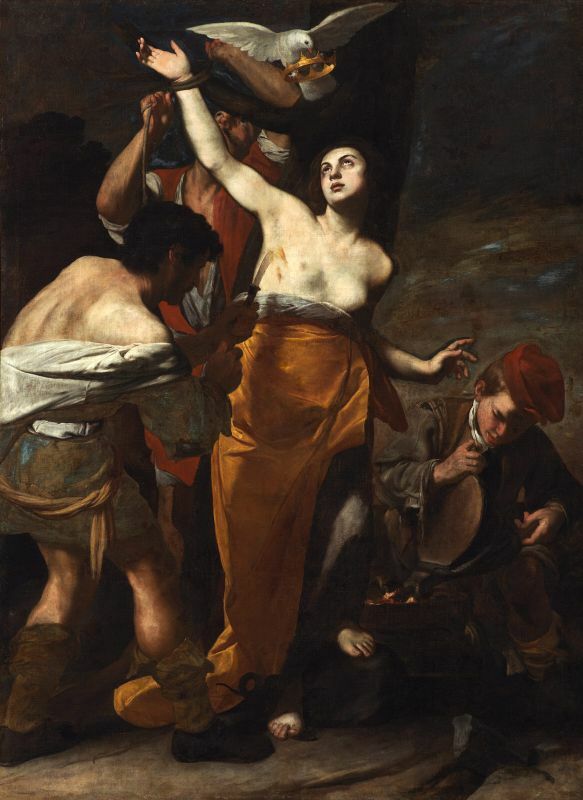 Also during the second Neapolitan period the Lombard master painted works of primary importance, including the Martyrdom of Sant’Orsola (Naples, Palazzo Zevallos Stigliano) and the San Giovanni Battista (Rome, Galleria Borghese). Studies have repeatedly addressed the problem, albeit in a less massive way than was done with the Roman production of Caravaggio. 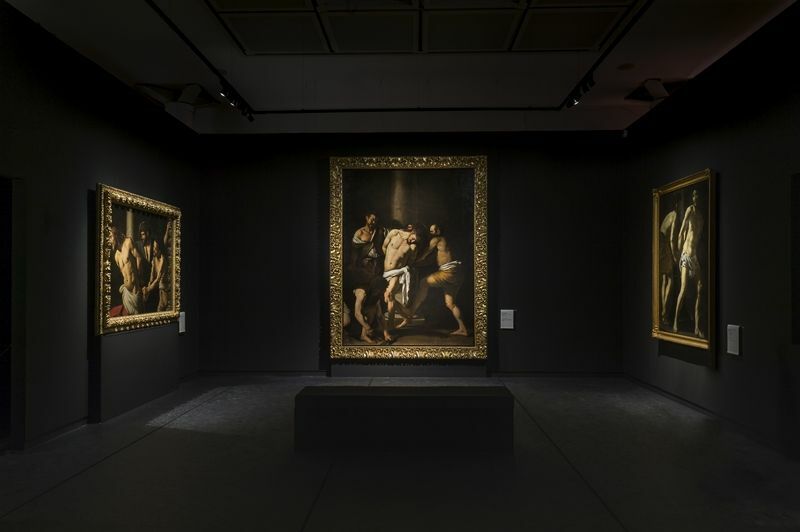 However, the exhibition offers a unique and totally new opportunity: the comparison of some key pieces of the Caravaggesque catalog, in particular the Flagellation of Rouen performed in Naples, which will be exposed for the first time in its original context compared to the other Flagellation that the artist created for the Neapolitan church of San Domenico. Caravaggio lived in Naples for a total of 18 months, during his two stays: between October 1606 and June 1607 and, subsequently, in the autumn of 1609 for about a year until his death in Porto Ercole on the journey back to Rome, in July of 1610. Intense and fundamental months for his life and his artistic production, which however are less known than the period spent in Rome. In Naples, Merisi arrived on the run from Rome, where he had been involved in the murder of Ranuccio Tomassoni: wanted and sentenced to death by Roman justice, tormented by guilt. The dramatic nature of the Neapolitan production with its particular moral tension seems to strongly approach the contemporary vision of the great artist, an aspect that emerges in the works, coming from national and international museum collections, presented at Capodimonte. "What the meeting with the immense southern capital, more classically ancient than Rome itself, and at the same time Spanish and Eastern, meant for the Caravaggio, it is not difficult to understand who has read at least some pass of the Porta or the Basile; an immersion in a violent and mimic everyday reality, desperately popular (Roberto Longhi). As soon as he arrived in the city, Caravaggio probably found support in the workshop of the Flemish painters Louis Finson and Abraham Vinck. The two artists probably also supplied Merisi with the tools of the trade, as evidenced by the reuse of a table previously painted by a Flemish artist, perhaps Finson in the David and Goliath of Vienna (Terzaghi 2013). 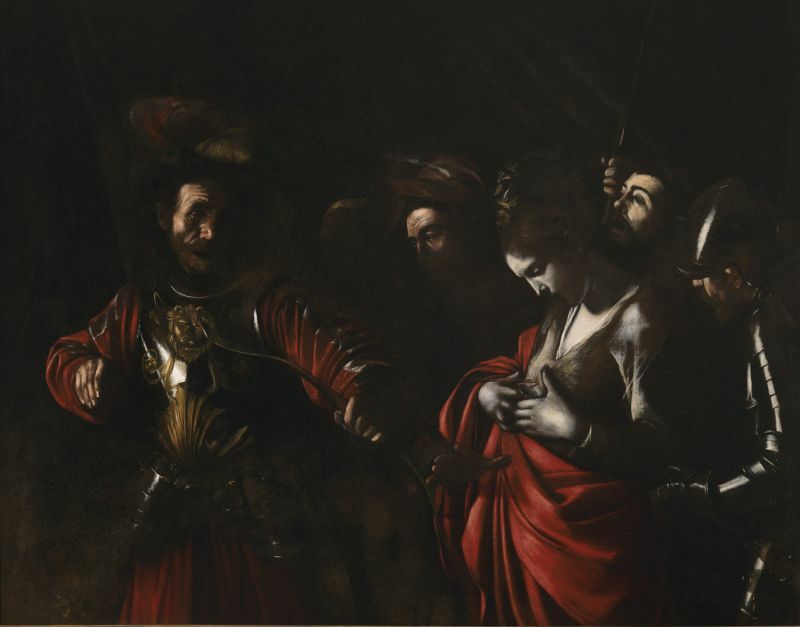 How recent the relationship with the Finson & Vinck company has been for the introduction of the Caravaggio works into the city and international art market is recent history ("Judith beheads Holofernes" 2013; Terzaghi 2014; Spinosa 2016). Vinck, recognized by the sources as "very close to Caravaggio", shared the same customers as Merisi (Porzio 2013a), and Finson, for his part, became Caravaggio’s most ardent copyist and merchant. 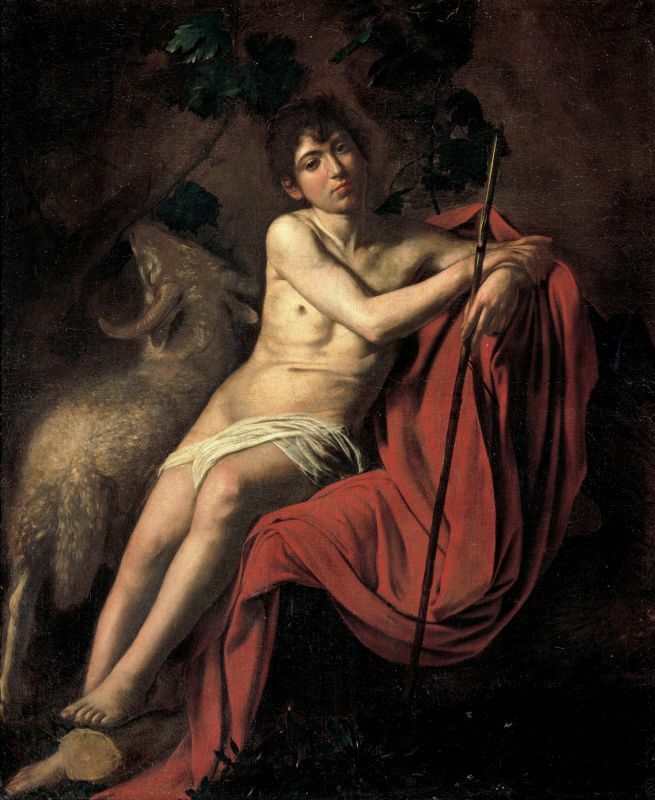 Both exported Caravaggesque naturalism to the heart of Europe when they returned home. We now know that in the spring of 1607 Battistello Caracciolo was joined by a payment made to him by Caravaggio himself (Nappi 2011; Terzaghi 2014): the relationship between the two supreme painters cannot therefore only be imagined in terms of stylistic fascination, but it also has a biographical and strictly professional origin. In Naples, Caravaggio was immediately immersed in a dense web of relationships with local artists, perhaps even for this reason his retinue was immediate. And on this front, research has made great strides. News emerged for Carlo Sellitto (Papi 2017; Porzio 2011; Porzio 2013; Porzio 2018), for Filippo Vitale, whose first half is clearer today (starting with Filippo Vitale ... 2008), for Tanzio da Varallo, also wonderfully involved in the Neapolitan artistic story, intertwined with the presence of Merisi in the city (Tanzio da Varallo ... 2014). But the most surprising thing is that active artists in the wake of a more traditional style, such as Bernardino Azzolino (cat. 22) and Fabrizio Santafede (cat. 9), did not remain immune from Caravaggio’s realism, trying to compete with the novelty of Merisi, or with its declination implemented by Giovanni Baglione (Nicolaci 2017, which incorporates some openings by Stefano Causa; Augusto Russo, in the catalog). And, about the artist’s mysterious final match, on the boat that took him to Palo, the Negation of St. Peter (New York, Metropolitan Museum) probably traveled, ended in Rome in the hands of Guido Reni already in 1612 (Nicolaci, Gandolfi 2011). Finally, one thing emerges from the archives: the prior of Capua, Vincenzo Carafa, in whose hands the artist’s paintings were finished, died on 7 January 1611 (Timeline in the catalog), three weeks after the nuncio Deodato Gentile wrote to Scipione Borghese in the blackberries of the expedition of the Saint Giovanni Battista (cat. 28), caused by the dissensions on the inheritance of the painter. Who knows that it was not just that sudden disappearance that broke every delay. 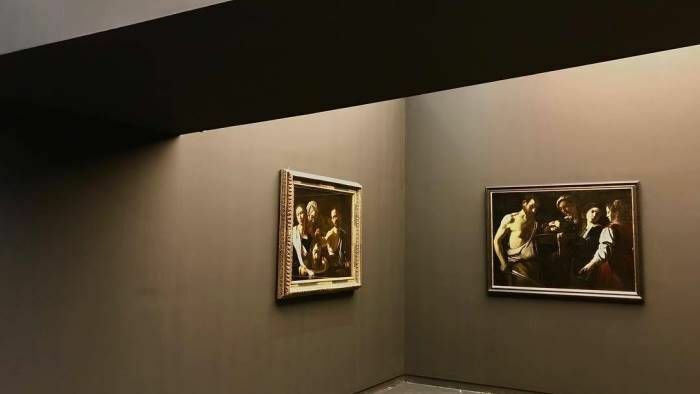 The exhibition that is proposed is therefore set in the wake of a new season of studies, rather than a point of arrival, a stage, we hope, towards the goal of full understanding and full delight of the Neapolitan Caravaggio, true and human. Il Museo e Real Bosco di Capodimonte e il Pio Monte della Misericordia, con la produzione e organizzazione della casa editrice Electa, promuovono una mostra per approfondire il periodo napoletano di Caravaggio e l’eredità lasciata nella città partenopea: Caravaggio Napoli, curata da Maria Cristina Terzaghi e Sylvain Bellenger. A Napoli il Merisi arrivò in fuga da Roma, dove era stato coinvolto nell’omicidio di Ranuccio Tomassoni: ricercato e condannato a morte dalla giustizia romana, tormentato dal senso di colpa. La drammaticità della produzione napoletana con la sua particolare tensione morale sembra avvicinarsi fortemente alla visione contemporanea del grande artista, aspetto che emerge nelle opere, provenienti da collezioni museali nazionali e internazionali, presentate a Capodimonte. “Che cosa significasse per il Caravaggio l’incontro con la immensa capitale meridionale, più classicamente antica di Roma stessa, e insieme spagnolesca e orientale, non è difficile intendere a chi abbia letto almeno qualche passo del Porta o del Basile; un’immersione entro una realtà quotidiana violenta e mimica, disperatamente popolare (Roberto Longhi). Appena giunto in città, Caravaggio trovò infatti probabilmente appoggio nella bottega dei pittori fiamminghi Louis Finson e Abraham Vinck. I due artisti fornirono probabilmente al Merisi anche i ferri del mestiere, come dimostra il riuso di una tavola in precedenza dipinta da un artista fiammingo, forse Finson nel David e Golia di Vienna (Terzaghi 2013). Quanto il rapporto con la società Finson & Vinck sia stato stringente per l’immissione delle opere caravaggesche nel mercato artistico cittadino e internazionale è storia recente (“Giuditta decapita Oloferne” 2013; Terzaghi 2014; Spinosa 2016). 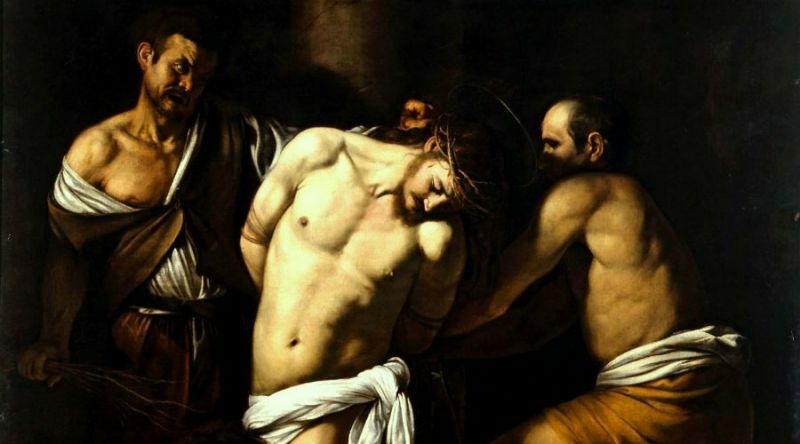 Vinck, riconosciuto dalle fonti come “amicissimo del Caravaggio”, condivideva gli stessi committenti del Merisi (Porzio 2013a), e Finson, dal canto suo, diventò il più strenuo copista e mercante di Caravaggio. Entrambi esportarono il naturalismo caravaggesco nel cuore dell’Europa al loro rientro in patria. Sappiamo ora che nella primavera del 1607 Battistello Caracciolo fu raggiunto da un pagamento giratogli dallo stesso Caravaggio (Nappi 2011; Terzaghi 2014): il rapporto tra i due sommi pittori non può dunque essere solamente immaginato in termini di fascinazione stilistica, ma ha anche un’origine biografica e strettamente professionale. 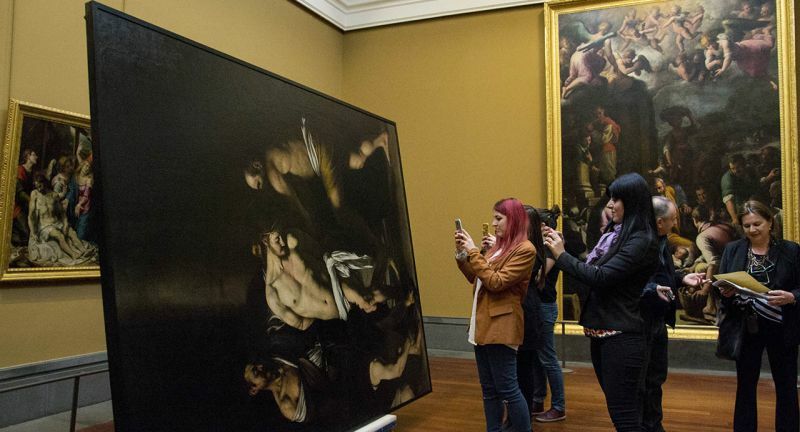 A Napoli Caravaggio fu dunque da subito immerso in una fitta trama di rapporti con gli artisti locali, forse anche per questo il suo seguito fu immediato. 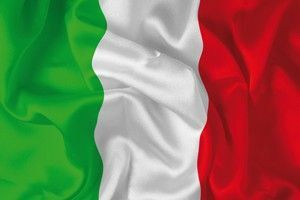 E su questo fronte le ricerche hanno compiuto grandi passi. Novità sono emerse per Carlo Sellitto (Papi 2017; Porzio 2011; Porzio 2013; Porzio 2018), per Filippo Vitale, il cui primo tempo è oggi più chiaro (a partire da Filippo Vitale… 2008), per Tanzio da Varallo, anch’egli mirabilmente coinvolto nella vicenda artistica partenopea, intrecciata con la presenza del Merisi in città (Tanzio da Varallo… 2014). Ma la cosa più sorprendente è che artisti attivi nel solco di uno stile più tradizionale, come Bernardino Azzolino (cat. 22) e Fabrizio Santafede (cat. 9), non restarono immuni dal realismo caravaggesco, tentando di misurarsi con la novità del Merisi, o con la sua declinazione attuata da Giovanni Baglione (Nicolaci 2017, che riprende alcune aperture di Stefano Causa; Augusto Russo, in catalogo). E, a proposito del misterioso finale di partita dell’artista, sulla barca che lo portava a Palo, viaggiava probabilmente la Negazione di San Pietro (New York, Metropolitan Museum), finita a Roma nelle mani di Guido Reni già nel 1612 (Nicolaci, Gandolfi 2011). Infine, un dato emerge dagli archivi: il priore di Capua, Vincenzo Carafa, nelle cui mani erano finiti i dipinti dell’artista, morì il 7 gennaio 1611 (Cronologia in catalogo), tre settimane dopo che il nunzio Deodato Gentile scriveva a Scipione Borghese nelle more della spedizione del San Giovanni Battista (cat. 28), causate dai dissidi sull’eredità del pittore. Chissà che non sia stata proprio quell’improvvisa scomparsa a rompere ogni indugio. La mostra che si propone si colloca dunque nel solco di una nuova stagione di studi, più che un punto di arrivo, una tappa, speriamo, verso il traguardo della piena comprensione e del pieno diletto del Caravaggio napoletano, vero e umano.